A quick and easy 2-ingredient buttermilk substitute made using milk and lemon juice (or vinegar). Save yourself a trip to the store and spare the expense of store-bought buttermilk, and make it yourself in under 5 minutes. If you’re just popping over from Google I want to make this really easy for you so you don’t have to read the whole post. 1 cup buttermilk = 1 Tbsp lemon juice + 1 scant cup milk. To make, pour 1 Tbsp of lemon juice or vinegar into a measuring cup, and then fill the rest of the way to the “1 cup” line. For a more detailed discussion, please read on! 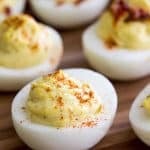 Man, do I have the easiest “recipe” for you today. Today I want to show you a simple substitution that I use frequently in my kitchen. It’s nothing groundbreaking or new (in fact, I’ve been using it for essentially my whole baking life), but it’s a tip that not everyone is familiar with. 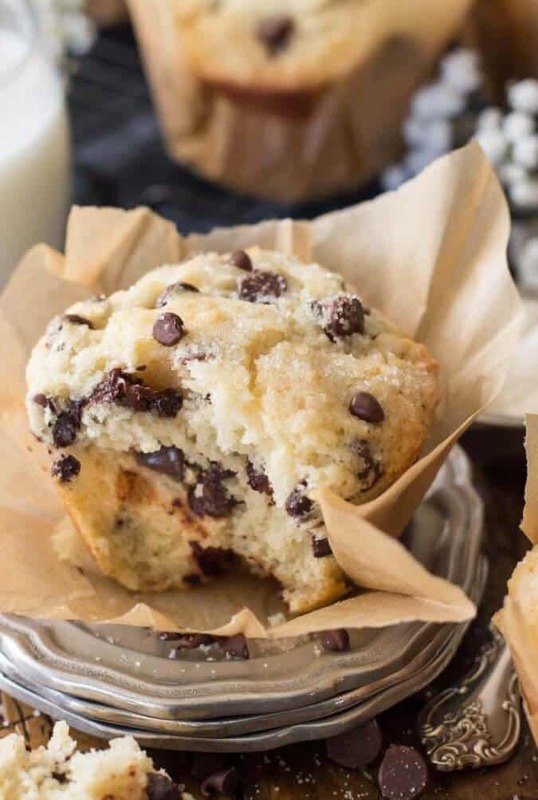 You can substitute buttermilk with two simple and inexpensive ingredients that you probably already have in your refrigerator: milk and lemon juice. Let’s talk about this for a minute before we start mixing. Buttermilk vs. 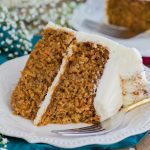 Milk — Can I use milk instead of buttermilk in a recipe? The short answer is no, if a recipe calls for buttermilk, you cannot use milk instead of buttermilk in that recipe. 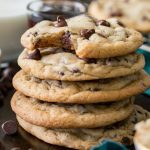 Buttermilk is an acid, and any recipe that has been created using it is designed to have a specific reaction between the buttermilk (acid) and the leavening agents used (usually baking soda). 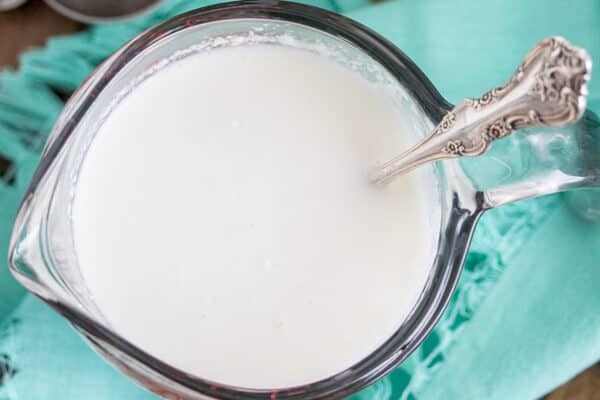 Just plain regular milk will not work as a substitute because it is not naturally acidic, and so will not react appropriately in your recipe. 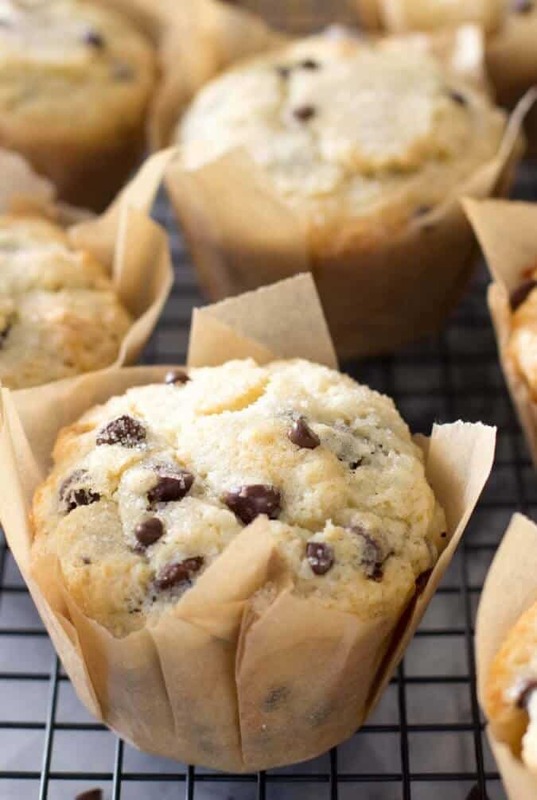 Using milk instead of buttermilk will likely result in drier, less flavorful, less tender baked goods, and can even affect the rise that you get in your biscuits or muffin tops. No sunken muffin tops here! 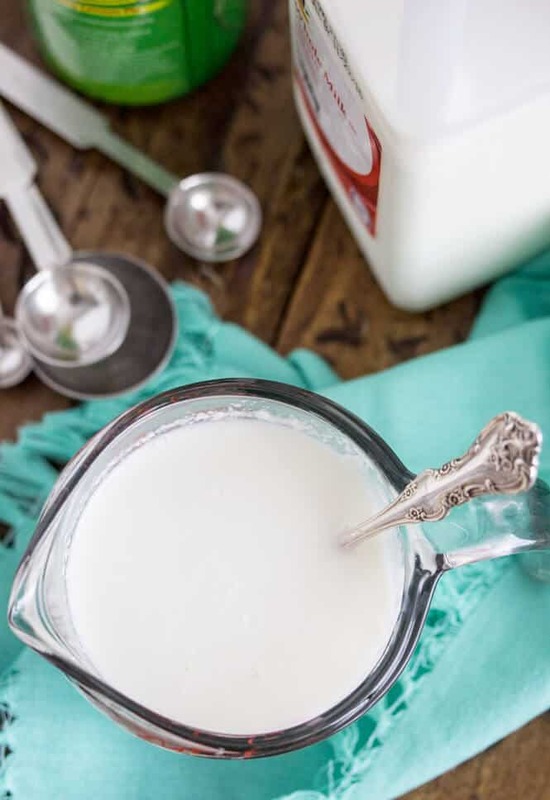 This buttermilk substitute works, though, because adding lemon juice instantly causes a change in the milk particles and actually makes your milk acidic — exactly what your buttermilk-using recipe is looking for! You can visually observe this as certain proteins in the milk begin to clump and you’ll see small curdles in your milk. 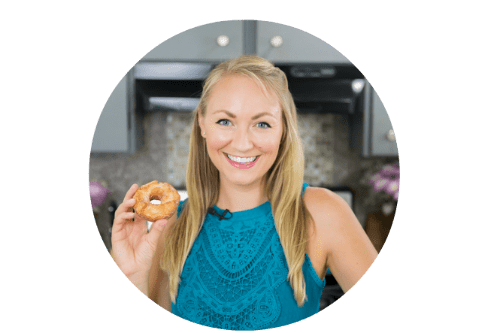 This acidification happens instantly, and, according to my favorite trusty kitchen guide (source, affiliate), it means that you don’t need to let the mixture sit for any amount of time before using. HOW do you make Buttermilk at home? Pour one Tablespoon of lemon juice (or one Tablespoon of vinegar) into a liquid measuring cup. Then add your milk until it reaches the 1-cup line. Stir. The milk will thicken and look a little… chunky or curdled. As we discussed above, this is a good thing, and exactly what we want here! 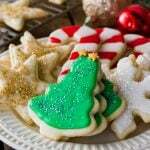 *In all of these scenarios, the lemon juice can be substituted for distilled white vinegar. I’ve used both substitutions without a hitch. How long will my buttermilk substitute stay good? If you somehow made too much buttermilk substitute, don’t worry, you can store it! It should hold up about a week in a sealed container in your refrigerator. However, I recommend just making it as needed rather than making it in bulk in advance. 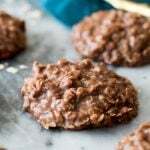 Can I substitute a non-dairy milk for regular milk in this recipe? Yes! Almond milk or soy milk would work fine as a substitute. 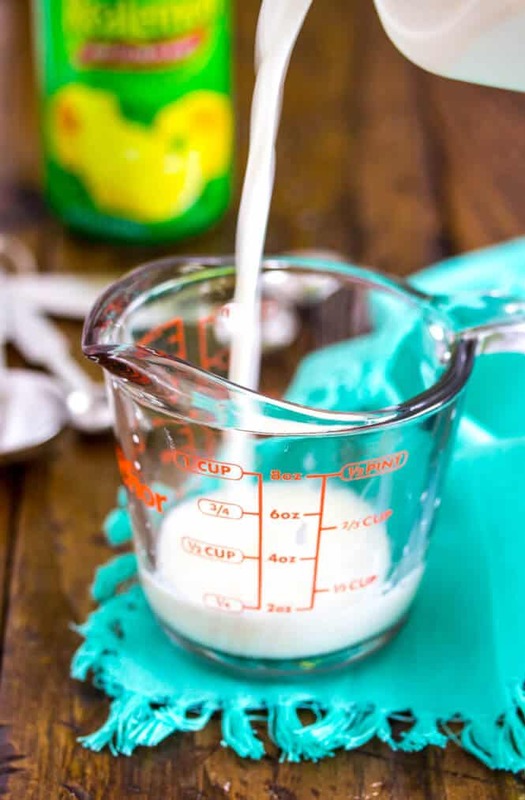 I rarely bake with these milks, but this substitution will work and will help replicate the taste of traditional buttermilk in your recipe, and is a good vegan substitute. I keep seeing buttermilk substitutes that call for a “scant cup” of milk. What is a”scant cup”!? A scant cup just means just shy (usually 1-2 Tablespoons) of a full cup. 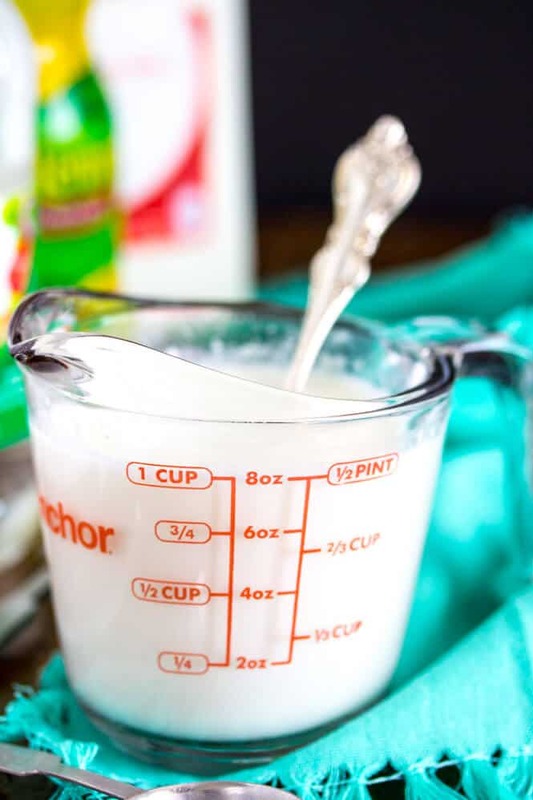 In this instance, we’re pouring the lemon juice into the measuring cup first, so, even though we’re filling the milk up to the 1-cup line, the amount of actual milk that is used will be just less than a full cup, or a “scant cup”. Phew, OK, thank you for letting me ramble on about buttermilk for well over 800 words — who knew there would be so much to say about such a simple substitution!? 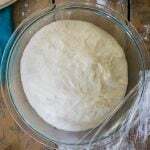 I know that this isn’t new information to many seasoned bakers, but I’m hoping that it will help someone out in a pinch, and if you have any more questions about buttermilk substituting, please leave them in the comments and I’ll try my best to answer them! 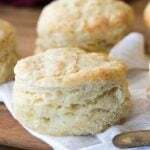 Printable recipe for buttermilk substitute is just below the video. Pour one Tablespoon of lemon juice (or one tablespoon of vinegar) into a liquid measuring cup. Add milk until liquid reaches the 1-cup line (at eye level). Stir. The milk will thicken a little and appear to be slightly curdled or chunky. For peace of mind, let it sit for 5 minutes, even though we learned above that this isn't truly necessary. Use buttermilk in your recipe as instructed. A scant cup just means just shy (usually 1-2 Tablespoons) of a full cup. 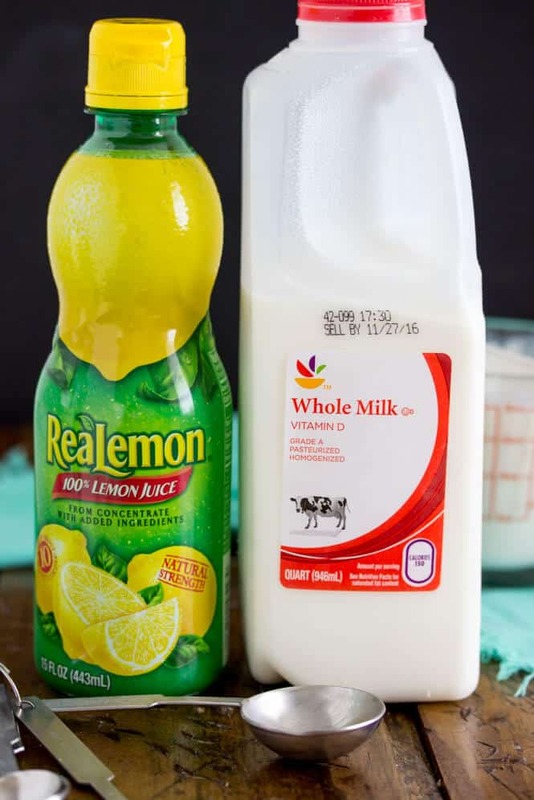 In this instance, we're pouring the lemon juice into the measuring cup first, so, even though we're filling the milk up to the 1-cup line, the amount of actual milk that is used will be just less than a full cup, or a "scant cup". Obviously, most of my recipes are sweet, but I’ve used this substitution in savory recipes that call for buttermilk, as well. Just last week I used it to make some of the best fried chicken my house has ever seen. Hi Chummie! I am not quite sure what you mean here? You need milk to make the buttermilk substitute. If your recipe calls for both milk and buttermilk then add the milk as well. 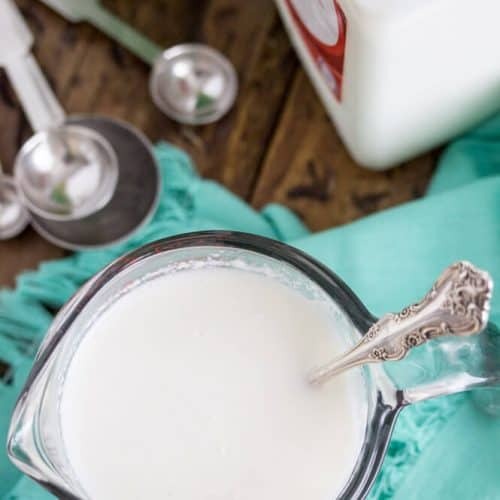 Can you use skim milk for your buttermilk recipe? Do you removes the curdles before using? Yes it works as a substitute but it does not Buttermilk. 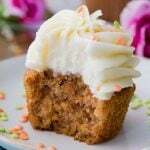 In this example I can’t comment on the taste of the cake as I have not made it (I will) but in other recopes that call for Buttermilk ie Bran Muffins, Pancakes etc there is a noticable flavour difference. As always thanks for the wonderful recipes. Hi! When you say milk, is it fullcream or evaporated milk? Very useful indeed, especially as you have listed the different quantities of vinegar or lemon juice and milk. 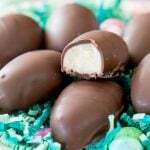 Unfortunately I am still a pounds and ounces girl and usually have to convert everything. Isn’t that sad! However, I thank you for listing these amounts and will print and keep handy. I was only able to find cultured buttermilk at my local grocery store. Is there a difference? 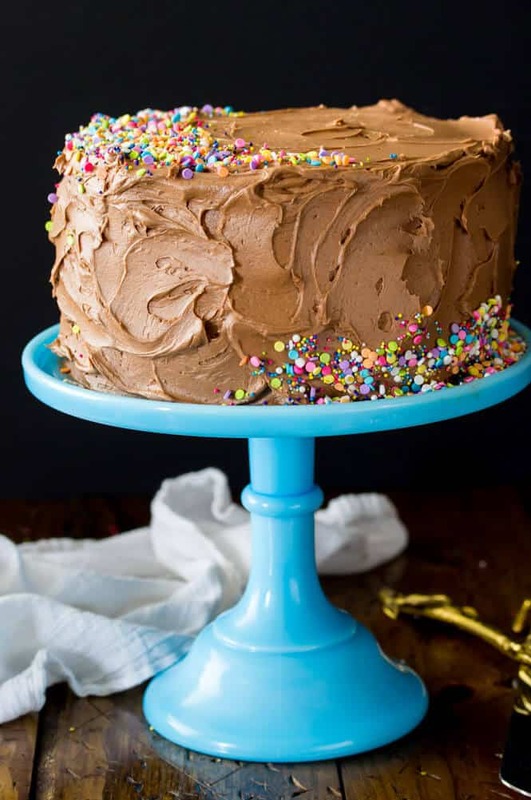 Can I use the cutltured buttermilk for the chocolate cake recipe? This is a question. 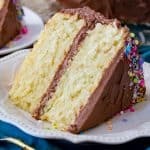 May I use buttermilk instead of regular milk in a cake recipe? It depends on the recipe, honestly. Generally I’d say you can get away with it, but ultimately it depends on the recipe and I recommend using whatever the recipe calls for. Hi Sam, I am fairly new to your wonderful recipes. I only use half & half for my tea and 2% for drinking. May I use either of these for your butter milk recipe? I made this last night but it did not curdle. Is it because I used fresh milk? Thanks in advance.